ALEX: You’re awfully dressed up today. BOSS: For too long I have turned away and allowed the work of this Englishman to sully the name of malevolent spectral beings everywhere. no longer. This vile misrepresentation cannot be allowed to continue. if you cut us, do we not bleed? ALEX: Actually, I don’t think you do. 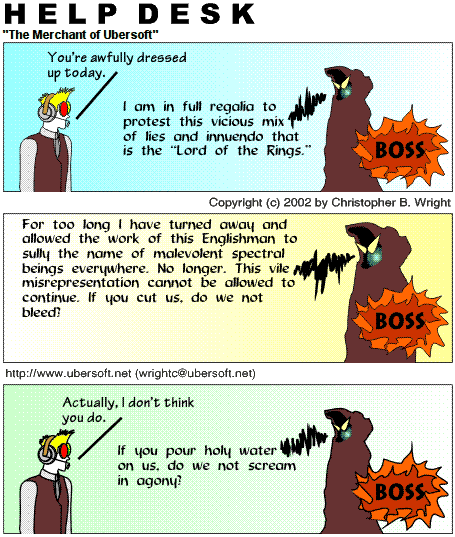 BOSS: If you pour holy water on us, do we not scream in agony?